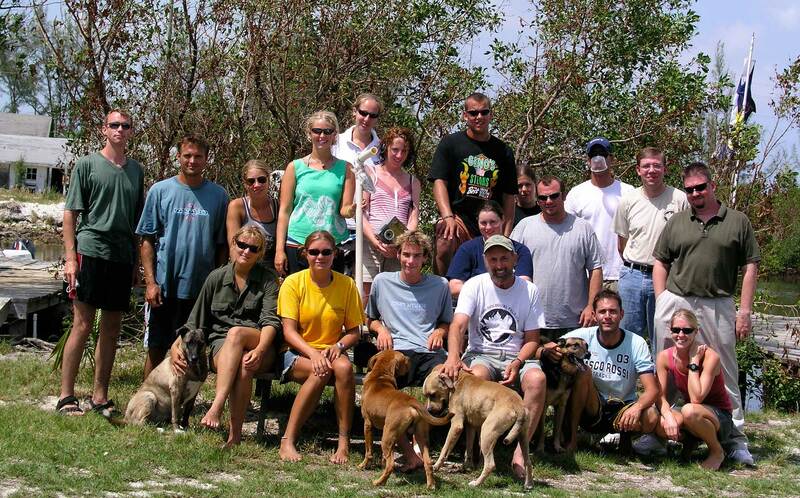 I was the Assistant Manager at the Shark Lab from August 2003 – June 2004. I took over as manager in June of 2004 and stayed through May 2007. I was there for almost 4 years total. Doc is definitely an interesting character. Like anyone, he has his good days and his bad, but when you catch Doc on a good day he can be really fun. There were many days at the lab where Doc was tyrant making sure everything was being run exactly the way he wants and reinforcing that he was the boss and we worked for him, but there were also many days where he was relaxed and we could all just kick back, tell stories & laugh. Those are the days I like to remember when thinking about my experience with Doc at the station. I remember one of these instances was during an evening staff meeting. During one particular meeting my dog Bullet decided to join us and lay down in the middle of the lab table. At some point during the meeting some of us started balancing objects on the sleeping pit bull in the middle of the table. No one said a word, but we all knew that this was the new game and our fun distraction to get through the meeting – How many objects could be balance on Bullet without her waking up. After a few minutes she had, pencils, pens, erasers, laffy taffy, tuna clips, zipties and anything else within arms reach of all of us in the lab. While all of this was going on Doc was still conducting the meeting. “What’s for breakfast tomorrow, who are the tracking crews going to be, what needs repair around the station, etc…?” Then mid-sentence and without missing a beat, Doc took his pen and balanced it on Bullet. All of us erupted in laughter, woke the dog and the game was over, but it was a great way to end the game. 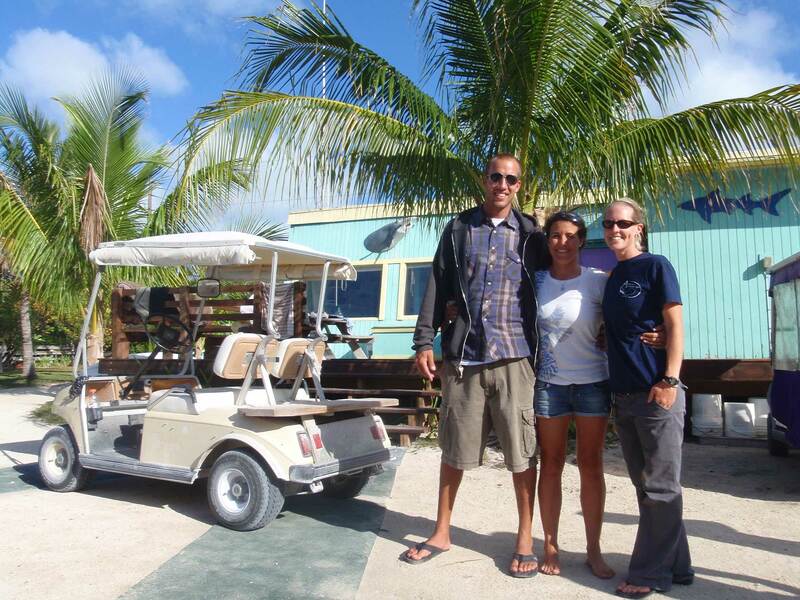 One thing that makes the Sharklab a unique place to work is how close you get to your coworkers and even boss. I do not think it is normal or maybe even healthy to know first-hand if your boss wears boxers or briefs, but since I shared a room with him when ever he was on the island for four years, and he was not a particularly discreet man, unfortunately I do – white briefs. Considering that many times there were up to seven people sharing the staff room, you would think that walking around in your underwear might not be common place, but Doc did not seem to care who was around. If it was time to change, it was time to change. It is quite difficult to choose a story to tell from my time at the Sharklab. I met so many wonderful people and so much happened over those four years that it is hard to pick just one or two stories to tell. I guess I will talk about my favorite longline set in my 4 years at the station. Bryan Franks and I were taking some volunteers out on the mid-day check. This check tends to produce lower numbers of sharks, but it was a beautiful flat-calm day, so we were just happy to be out on the water. We came to the final hook of our check and were so excited to finally have a shark. Bryan drove the boat and I used the boat hook to grab the line. Once I got the line, Bryan turned the boat off and came up to help. We pulled the shark to the boat and there were a few moments of silence. Bryan looked at me and said, “What is that?” I was thinking the same thing so we took a closer look. We were shocked to figure out that it was a young Bull Shark because we don’t normally catch them around here and we had never seen one so small. In fact, I think at that point it was the smallest Bull by far that had been caught in Sharklab history. It was adorable! It is funny how the adult version of the same animal can look so menacing and this one looked like a stuffed animal that a child would play with. We called back to the so Grant could bring the crew out to see this unique catch. We tagged it, took a million photos and let it go. Since the whole lab was out there, they decided to follow us as we checked the lines on the way back to the lab just in case we got another shark. After a little bit of driving, we found another shark on the line, pulled it up and it was a younger Tiger Shark. It was only 104 cm and had the prettiest stripes you had ever seen. We completed the workup and then got in the water and took a million photos. At one point, without knowing, we circled the shark and he had nowhere to go. Being the bold beauty that he was, he swam straight towards me and took a big bite out of my camera lens and then continued on swing right past me and he was gone. At that point I was really glad that he was only104 cm! We al loaded back on the boat and stopped to work up one more young nurse shark before we made our way back to the lab. We had spent so much time out on the water that it was almost time for the haul, so the hauling crew packed up the boat and headed back out. After being out for a little bit, we got word that they had caught a large Tiger Shark. So we loaded the boats up again to head out to see the Tiger. One the way out there was saw a large Bull Shark on the closest line to the lab and radioed to let the crew know. They decided to hurry up with the workup and release the Tiger so they could get to the Bull so we just waiting for them there. Bulls are much more rare to catch on the longlines, so we were all excited about idea of getting to swim with a Bull Shark. 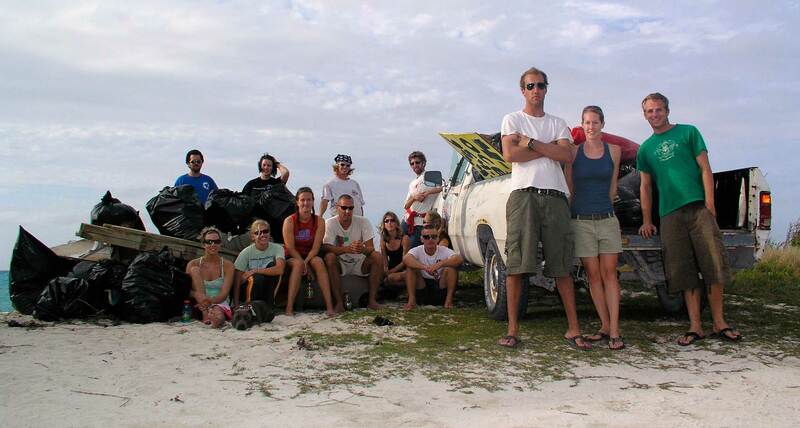 The haul crew did the workup while some of us were in the water taking photos. We stayed in for the release and were able to see that beautiful shark swim away with a shiny new ID tag. It was a fabulous day with one crew catching all the cute baby sharks and the next catching the big beauties. It still goes down as my favorite longline set during my time at the lab. 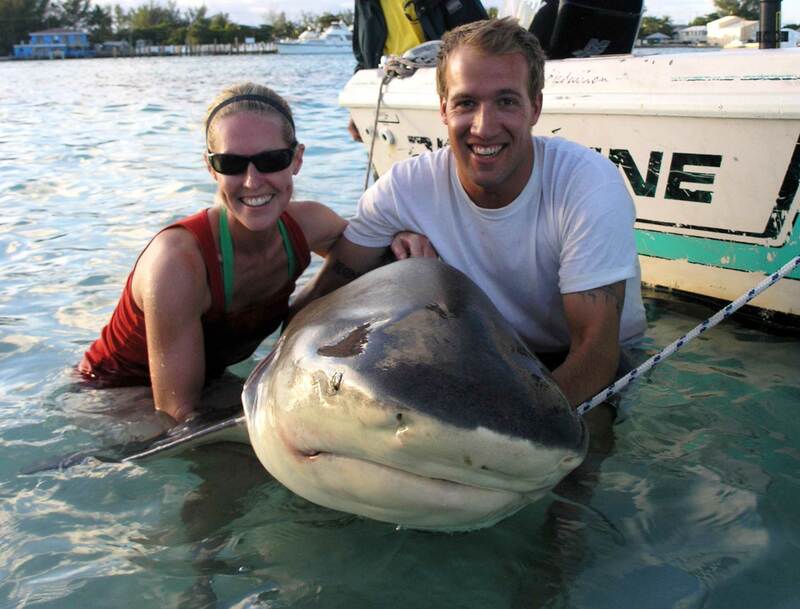 I will forever be grateful for my time spent at the Sharklab and to Doc and Marie for starting the operation. To this day I am still living on Bimini and doing what I love. None of this would have happened if I had not first managed the BBFS.